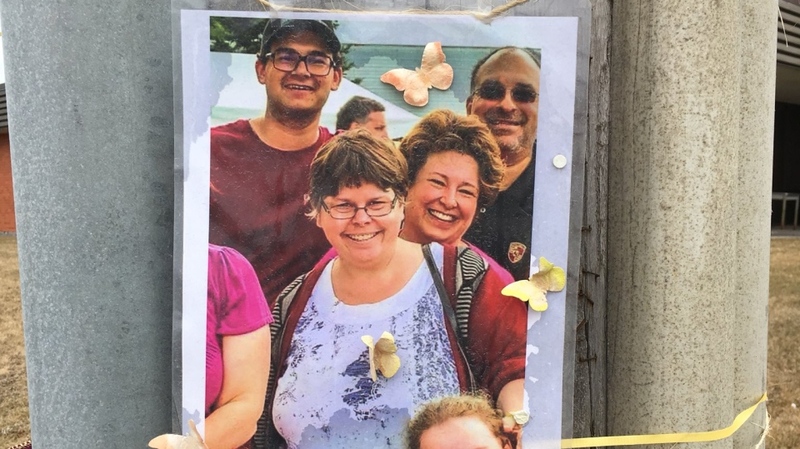 The Pape-Green family is still coming to grips with the tragic loss of their mother, who was struck and killed by a vehicle in Newmarket. Kim Pape-Green was returning home to Newmarket from Toronto on Jan. 22. She was hit by a 2016 white Honda vehicle, while crossing the road at Mulock Drive and Sandford Street. "I’m doing my best, but it is hard. We all loved her a lot. Her presence is really sorely missed," says Kendra Pape-Green. The 51-year-old mother of three was born deaf. She was rushed to hospital, but later died. The driver remained at the scene, and so far, no charges have been laid. "My mom was a very experienced walker," Kendra says. “She got to know the bus routes and walked everywhere." As police continue to search for answers about this deadly collision, they're hopeful people will come forward with information that will help them with their investigation. "Whether they believe they saw something or not, they could be potentially very helpful to us," says York Regional Police Const. Laura Nicolle. Earlier this month, a team of officers set up a traffic stop at the intersection hoping drivers might have known something. "Unfortunately, the canvass was not successful in terms of finding any actual witnesses." Police are still looking to speak with anyone who may have witnessed the crash. They’re also looking for any dash cam video. Kim Pape-Green died after she was struck by a vehicle in Newmarket, Ont. A memorial can be seen on Wednesday, March 28, 2018.